​Sister Virginia LaPorte was born in St. Joseph, Ontario in 1911, the daughter of the late Jean Baptist and Virginia (Brisson) LaPorte. She entered the Ursuline Community in 1926. During the following years she served as a teacher in Stoney Point, McGregor, Tilbury and Mount Carmel. From 1950 - 1956 Sister Virginia was a missionary in Japan. In 1962 along with the other Ursulines, she opened a mission and school in Chiclayo, Peru. She returned to Ontario in 1966 and taught English to new Canadians. 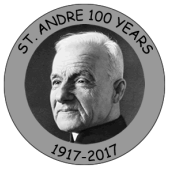 From 1969 - 1986 she was Directress of Religious Education in the Dominican Republic. She returned to Chatham in 1986 and for many years continued to teach Spanish, French or English to interested students. She also visited the local jail. 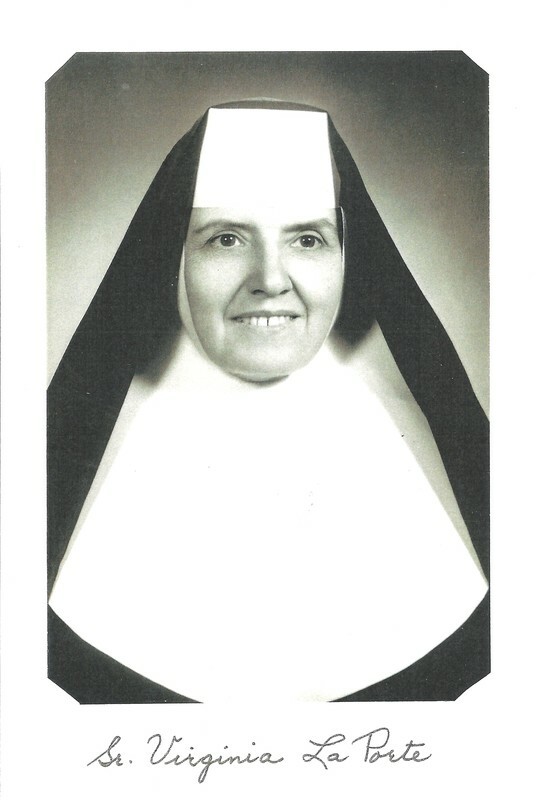 Sister Virginia LaPorte entered Eternal Life on Thursday, February 5, 2009 after 83 years as an Ursuline Religious. LaPORTE, Sister Virginia (Madeline Virginia) Entered Eternal Life on Thursday, February 5, 2009 in the Chatham-Kent Health Alliance. Sister was born in Drysdale, Ontario in 1911, the daughter of the late John and Virginia (Brisson) LaPorte. She entered the Ursuline Religious of the Diocese of London in 1926. During those years she served as a teacher in Stoney Point, McGregor, Tilbury and Mount Carmel. From 1950-1956 Sister was a missionary in Japan. In 1962 along with three other Ursulines, she opened a mission and school in Chiclayo, Peru. When she returned to Ontario in 1964, she taught English to new Canadians. From 1969 to 1986, she was Directress of Religious Education in the Dominican Republic. She moved to Chatham in 1986 and for many years continued to teach interested students Spanish, French or English and also visited the local jail. She is predeceased by her siblings Clarence, Joseph, Richard, Leon, Theodore, Wilfred, Taize, Florence Beneteau, Evangeline Crosetiere, Blanche Laframboise, Sr. Loretto osu, Emilia Gumbelton, Cecilia Rau, Clotilde Kehoe, and Sr. Clotilde.